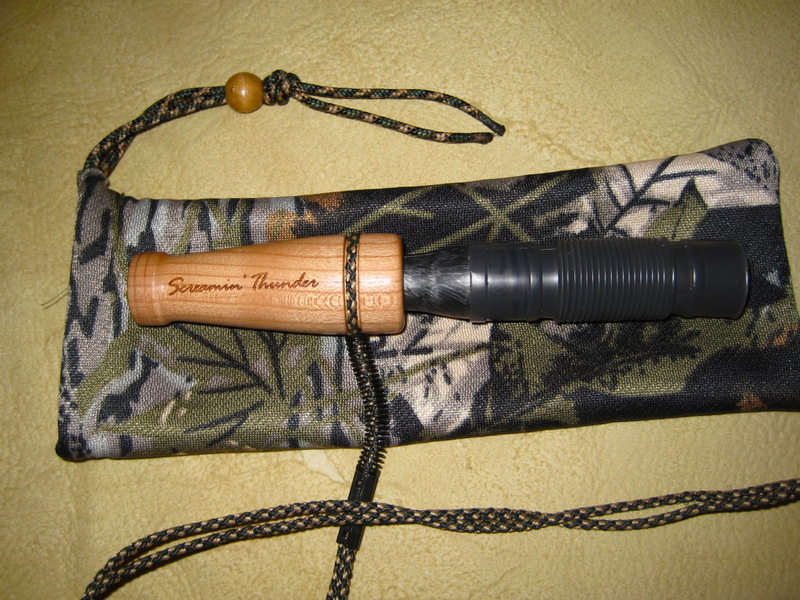 This is the latest call that I am adding to my call line, The Scream ‘in Thunder Grunt Call, This is a great sounding call the will produce many of the different tones that a whitetail Buck makes during his many mating stages, I tune each of these by hand and are tested before they leave the shop, these calls are made out of Cherry wood and come with a camo carrying bag, the barrels for these calls are machined for me under my exact specifications, that way I can keep the cost down and pass that on to my deer hunting friends. 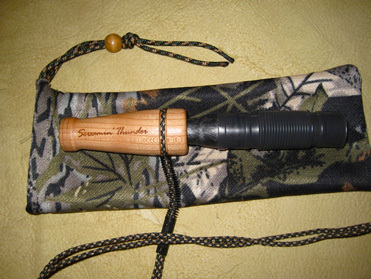 And with all my calls, if you break the Scream ‘in Thunder Grunt Call or a Big Buck runs up the tree and bites it in half I will replace it, just send it back. 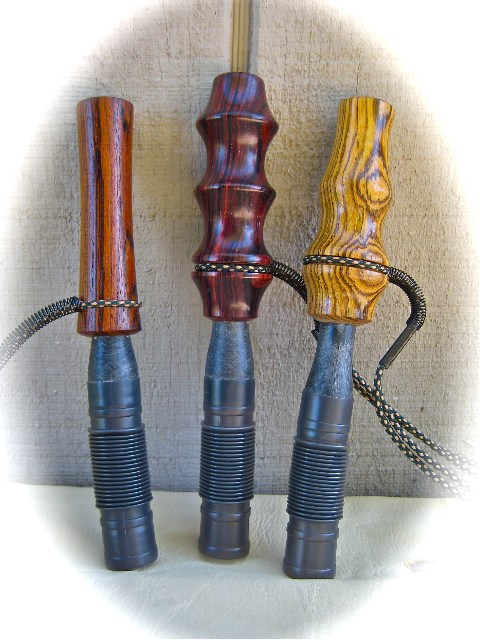 And as always I still hand turn many exotic wood Grunt Calls, if you’re looking for that one of a kind –nobody else has call, then let me know and I will turn something out for you.